Not so long back I ordered a box of fish & seafood from Fish for Thought Ltd, who are based in Cornwall, not far from where I holidayed a couple of years ago. I was suitably impressed with everything from the amazing customer service, fast delivery (where you can even choose your time slot) and the quality of the produce. Unlike some of the other frozen fish & seafood I’ve ordered and eaten, this still tasted fresh and flavoursome; if I’d shut my eyes whilst eating I could have been back beside the sea, rather than at home in landlocked rural Staffordshire. Apart from Fish for Thought’s ethical standpoint and keenness to ensure they only sell sustainable fish from sustainable sources, one of the most appealing factors in this age of huge conglomerates and faceless companies is the fact that they are a small family business. They have only been trading since 2007, yet have won multiple awards and gained the distinctive mark of approval, becoming a Rick Stein ‘Food Hero’. One of the first things I decided to cook was Old Bay fried squid. Why? Well it’s one of my favourite dishes, I’d happily sit and munch my way full a bucketful of the stuff with no accompaniments required. No, scrap that, I’d happily much my way full a bucketful of the stuff provided there was a generous portion of aioli to dip dunk the crisp, crunchy morsels in. In the interests of good nutrition, or rather just the notion of it; and making a family friendly meal, instead of simply a glutinous meal for one, I served a simple green salad alongside the squid. As the late Alan Davidson (most famously known for the epic tome, Oxford Companion to Food) put it, "cephalopods are eaten less than they might be because some people are repelled by their aspect" – whilst, no doubt this is true, for me the tentacles are the sweetest and therefore most appealing part. Feeling squeamish? No problem, pass the tentacles my way. 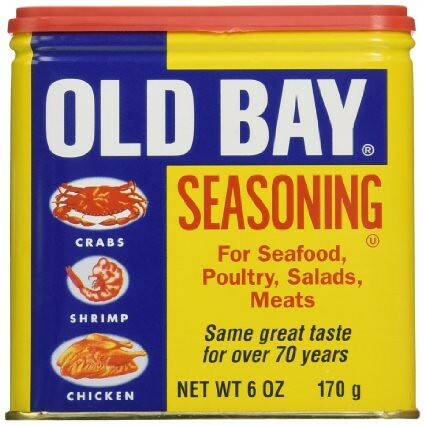 I first encountered Old Bay Seasoning whilst watching Nigella Express on television some time back, but since then I have developed quite the addiction to it. It is never missing from my spice rack. How did I manage without it for all those years? And, perhaps more to the point, how can something with the tagline “Helping seafood everywhere reach its full flavor potential” not be good? 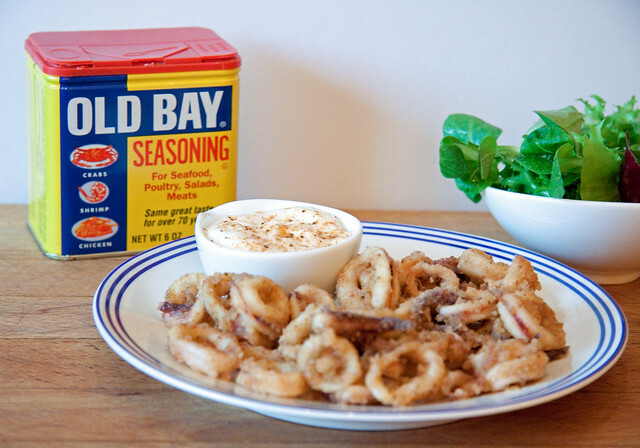 For those of you not in the know, Old Bay is an American product containing a blend of celery seed, bay leaf, mustard seed, both black and red pepper, cinnamon, and ginger, making it an intensely flavoured and rather piquant seasoning that really draws out the sweetness of seafood. However it also works well with chicken, such as in my Buttermilk Bay Chicken recipe, burgers and vegetables too. Felicity Cloake points out that a chef (whose name she missed when she was too busy “shoveling squid” into her mouth to take note) once told her that the best way to ensure tender squid is to freeze it first. Generally this is not a problem as most squid here comes frozen anyway, and for this recipe, you could even cheat and buy frozen squid/calamari rings but, then you’d most likely miss out on the tentacles. Maybe a good option for the squeamish amongst us? Not overcrowding the pan when frying the squid is vital. Too many rings in there and they’ll revolt and start spitting their water out making them almost stew, which will result in one thing and one thing only, no matter what you try and do to rectify the problem. Tough, chewy, soggy squid and that is not a good thing. Ever. Squid, glorious squid, generally for some unbeknown reason is still the preserve of restaurants and seaside holidays, but it is simple to cook, so long as your remember the golden rule: fry it fast and furiously or simmer it long and slow. Either way you will have a meal to delight the senses. Of course, you can’t have fried squid without mayonnaise and for me that has to be garlic and lemon spiked aioli, of the home made variety. Don’t panic! Home made mayo really isn’t that tricky. Just go steady with the drizzling of oil and whisk well. Here is an area of culinary creation where the phrase ‘light of hand’ really is important, drip by drip the oil goes in and you will have a silky smooth, creamy mayonnaise which will rival anything you can buy in a jar. My preference is to use smoked garlic in the aioli, a happy accident one day when I grabbed the wrong clove of garlic, but it works well as it’s less abrasive and acrid in taste than its regular counterpart. I also add a fair amount of lemon juice, especially when serving with seafood. As with most cooking, taste and adjust as you go, until you find your ideal balance of sharp, sweet and savoury. What are you waiting for? Go cook! Crisp, crunchy, piquant yet sweet squid paired with smokey garlic mayo, that’s got to be a winning combination hasn’t it? Plus, this fried squid malarkey is dangerously easy. 1. Heat the oil in a smallish saucepan and, while it's left to warm up, cut the thawed squid into l cm rings. 2. Put the cornflour, polenta and Old Bay seasoning into a bowl and mix to combine. 3. Add the squid rings and tentacles and then toss to coat.When the oil is hot enough, which is when it sizzles up fiercely when you drop in a small cube of bread, fry the squid in small batches to get maximum golden crunch. 4. A couple of minutes per batch is all you should need. 5. 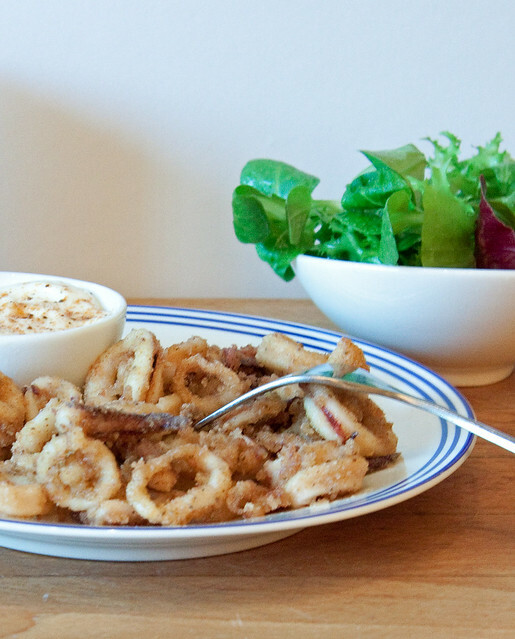 Serve the squid with aioli and a green salad. 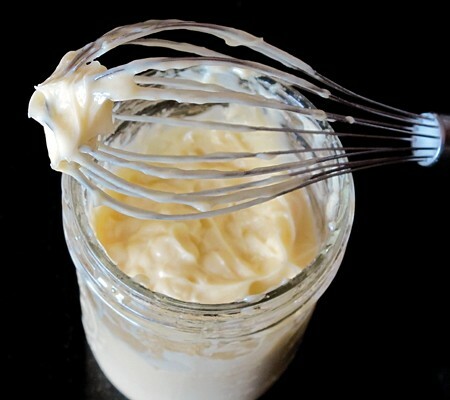 If the Aioli splits - take another egg yolk, at room temperature, and a dash of water and whisk in a large bowl until the mixture starts to thicken, then gradually whisk back into your split mayonnaise. 1. In a pestle and mortar smash the garlic with a little salt until you get a smoothish paste. 2. Place the egg yolk and mustard in a bowl and whisk together, then start to add your oil drop by drop. 3. Once you've blended in a quarter of the oil, you can start to add the rest in slightly larger amounts. 4. When the mixture thickens, add the lemon juice and whisk in. 5. Now add the garlic and extra lemon juice if wished.